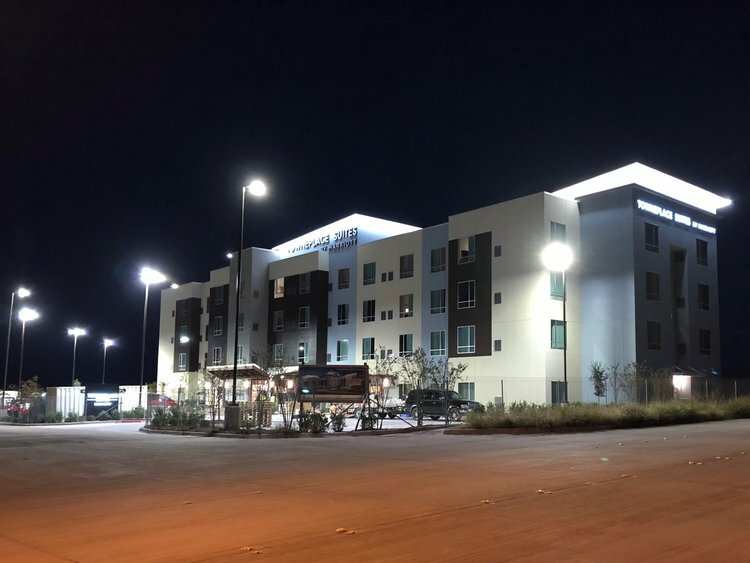 Marriott International’s TownePlace Suites by Marriott Fort Worth Northwest/Lake Worth is located just six miles from Fort Meacham International Airport and provides easy access to the Fort Worth Historic Stockyards, the Texas Motor Speedway and Will Rogers Coliseum. TownPlace Suites is designed for travelers who need accommodations for longer stays, offering studio, one-bedroom and two-bedroom suites with fully equipped kitchens, as well as separate living/working and sleeping areas. Most rooms also feature the Home Office Suite, designed to provide guests with plenty of storage and flexible space to spread out and make it their own. TownePlace Suites helps its guests stay organized on the road with the help of the hotel’s partners the Container Store. While staying at the hotel, travelers can unpack their suitcase in a custom elfa closet. The hotel features HD televisions providing over 40 high-definition channels, interactive guide, streaming of Netflix, Hulu, YouTube, Crackle and Pandora. Other hotel amenities include a heated outdoor saltwater pool, an exercise room open 24 hours per day, a meeting room, laundry facilities, complimentary Wi-Fi throughout the hotel and on-site business services, including copying, faxing and printing.